There will come a time in your life when you’re sat around the dinner table after a particularly special meal, and you’ll reach for a drink that you hope will end the night in the most blissful way possible. 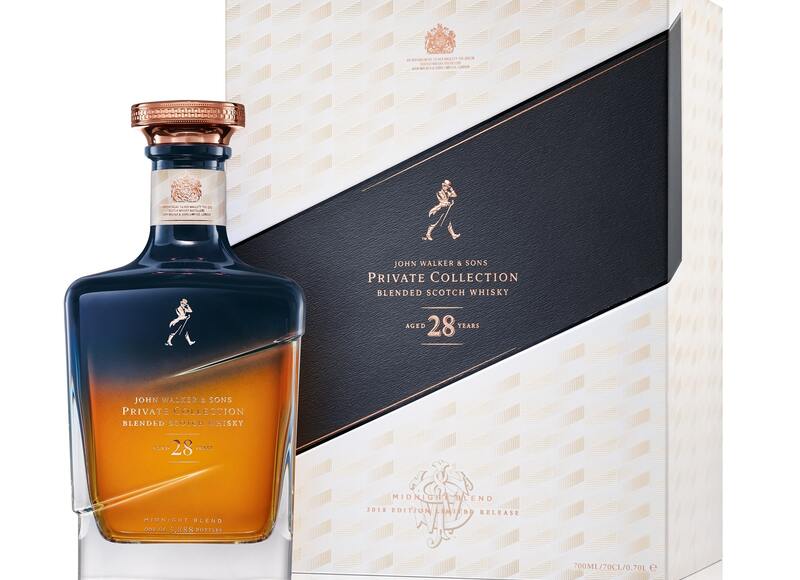 Now most whiskies are considered wonderful digestifs, but it is the John Walker & Sons Private Collection 28 Year Old Midnight Blend that will take the intimacy of the ‘midnight moment’ to the next level. As the fifth and final edition in the storied Private Collection, the 28 Year Old Midnight Blend was specifically created to be an opulent after-dinner whisky. Johnnie Walker’s Master Blender Jim Beveridge personally ensured the rare amalgamation of precious whiskies — each aged for a minimum of 28 years — delivered on its promise as the most indulgent nightcap. Alongside fellow blender Craig Wallace, the duo sampled hundreds of the finest single malt and grain whiskies from distilleries across Scotland, only to hand-select a precious few that would give the blend its smooth finish and distinctive flavour. 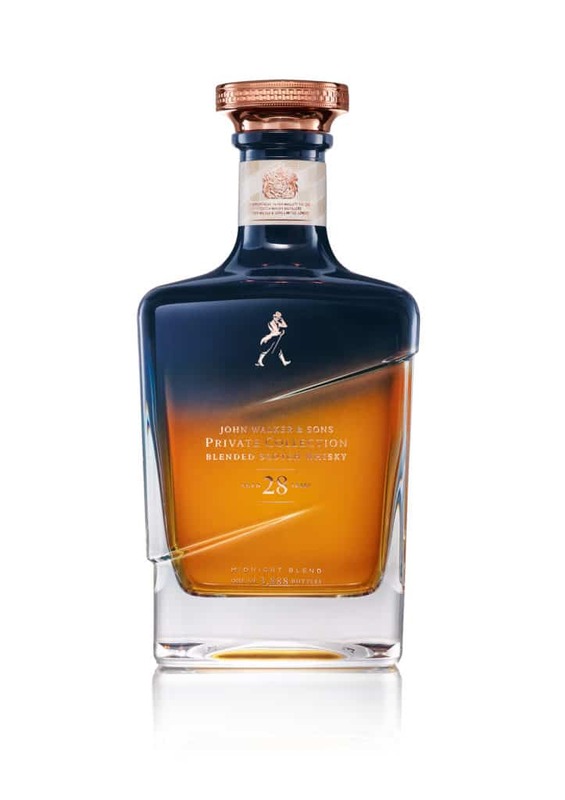 John Walker & Sons Private Collection 28 Year Old Midnight Blend. “Whiskies aged for 28 years are rare, and very special. In our search to find the flavours and characteristics necessary for a rich, indulgent Scotch like Midnight Blend, we were very lucky to have access to some of the most mature reserves drawn from the four corners of Scotland. Each individual malt and grain used in the final whisky adds layers of flavour to the 28 Year Old Midnight Blend, leaving hints of fruit, sweet and spice and making it a wonderful final addition to the Private Collection,” said Beveridge. Here, aromas of rich citrus, toffee, and apples slowly make way for spicy woodiness and Islay smokiness. The distinctive waxy softness of Clynelish is met with layers of creamy vanilla, caramel and butterscotch sweetness from mature grain whiskies and their American oak casks. To end, a fresh hit of Speyside and Highland citrus fruits are followed closely by enticing hints of spice and rich fruit — flavours that gently round up the night while emphasising this unique moment. Only 3,888 of this individually-numbered collectable decanters have been released, making this a limited edition to covet amongst avid collectors. It poetically culminates the Private Collection series — first launched in 2014 — where small-batch whiskies project the innovative craft and spirit of the Johnnie Walker portfolio. Fittingly, the Private Collection 28 Year Old Midnight Blend is best served neat (in a balloon glass) and shared amongst friends. A square of dark chocolate for accompaniment is an indulgence, but it is one that’s encouraged.